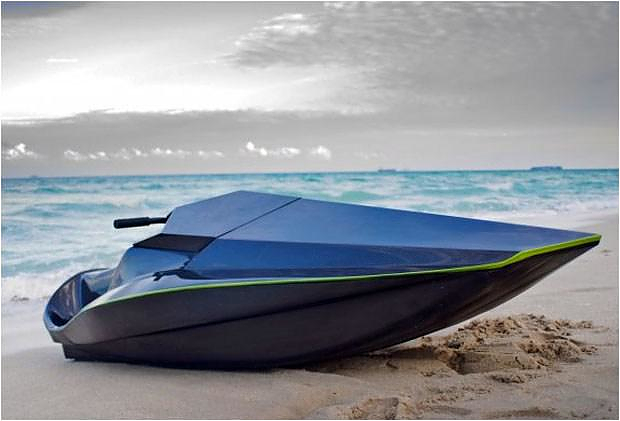 HomeBlogTechnologyGreen Samba, an electric carbon fiber Jet ski. Jets skis are one of the best ways to move between short distances and enjoy the Aegean sea. 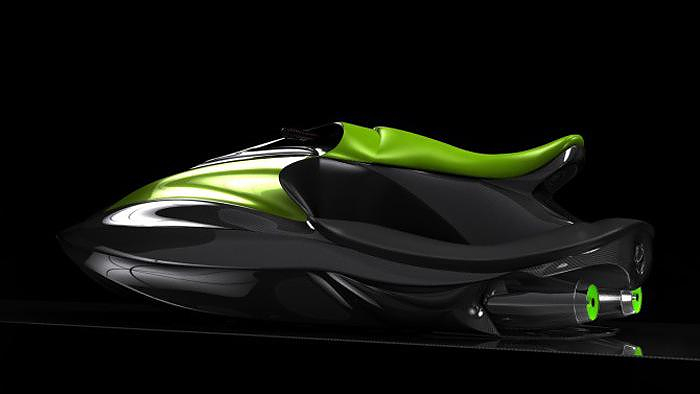 Green Samba by Silveira Customs literally washes away all doubt, and makes the jet ski experience one level higher. 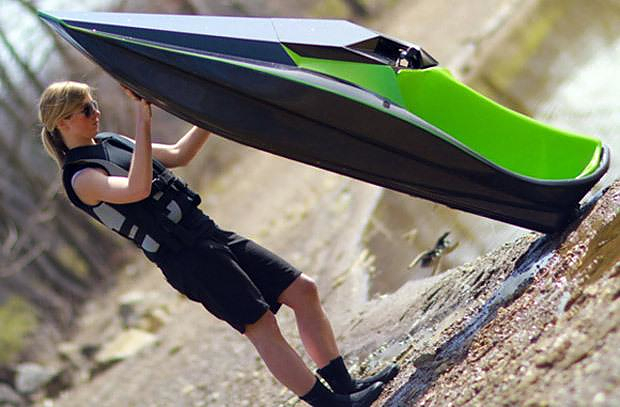 The Green Samba takes advantage of the low weight-high performance technology, applied to cars like the Lotus 7 and uses it on the water. 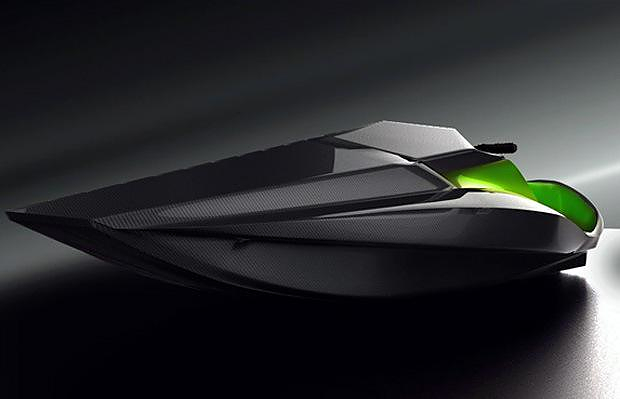 Entirely made of carbon fiber, with a weight that reaches 157 kg, the Green Samba is not only of equal performance to a jet skis of double horsepower, but is also extremely easy to conduit and control. Nevertheless, the real innovation about the Green Samba by Silveira Customs is the engine. 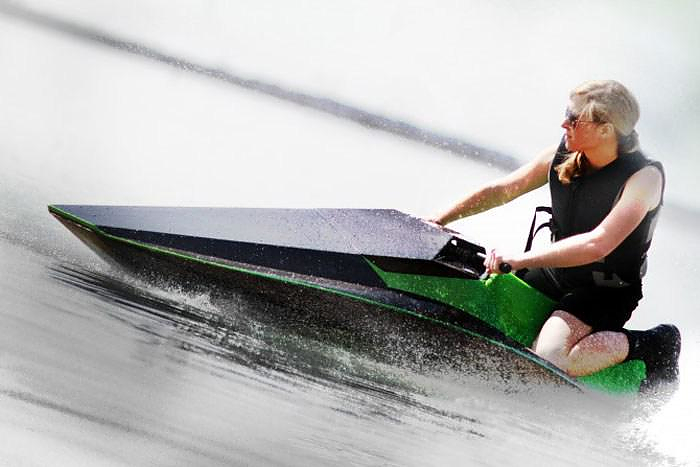 Green Samba is 100% electric and even though navigation through water requires extremely high torque, the electric engines of the Green Samba have enough power to reach 65 miles per hour, as fast as the best of the non-electric Jet Skis in the market. 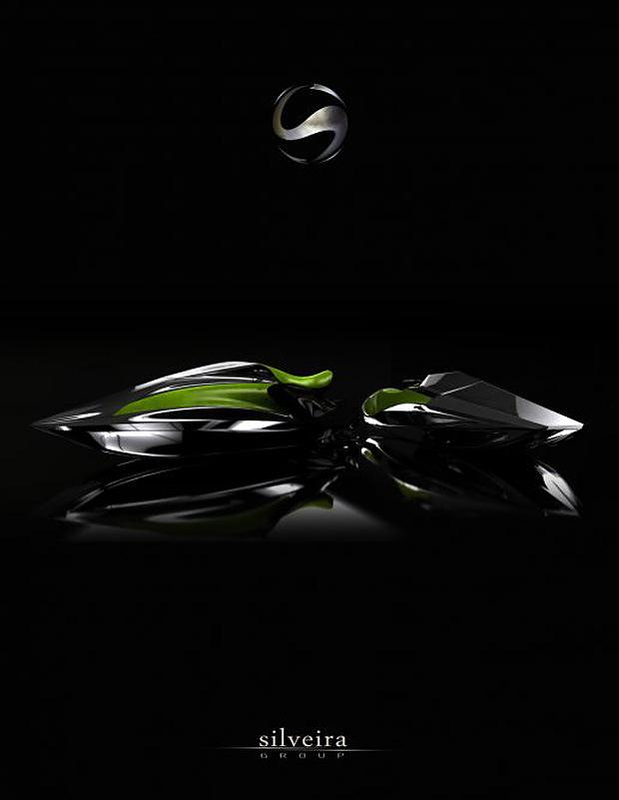 No more pollution and no more noise, without any compromise concerning speed and performance. 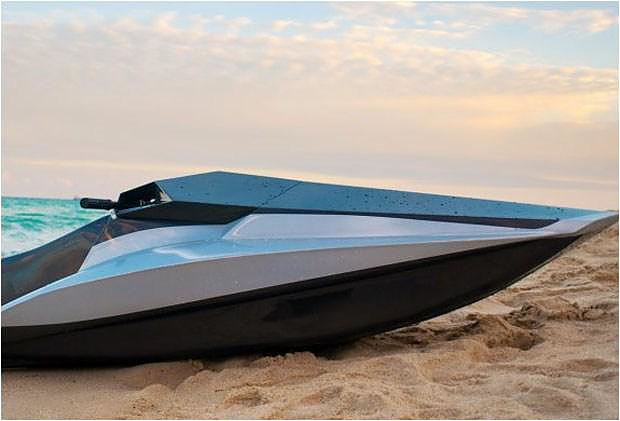 In case you are wondering about its autonomy, one charge is enough for 3 hours of playtime in the sea. American Silveira Customs has been dealing with the carbon fiber for many years and manufactures products which demand as less weight as possible, like suitcases, saddles for race horses and car accessories. A few years ago they decided to take their expertise and throw it…into the water! 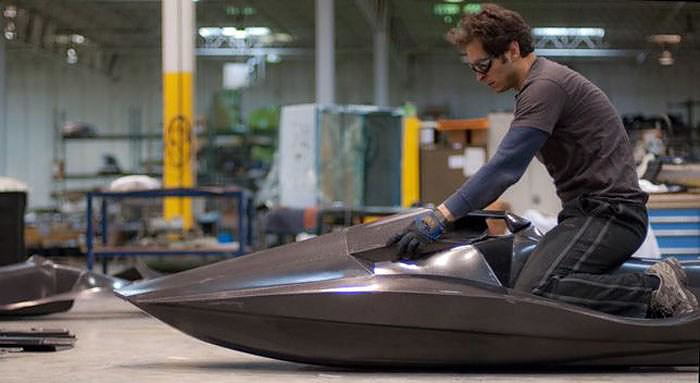 So they build an extremely light Jet Ski for use in races creating the Samba XRS, a petrol using jet ski. 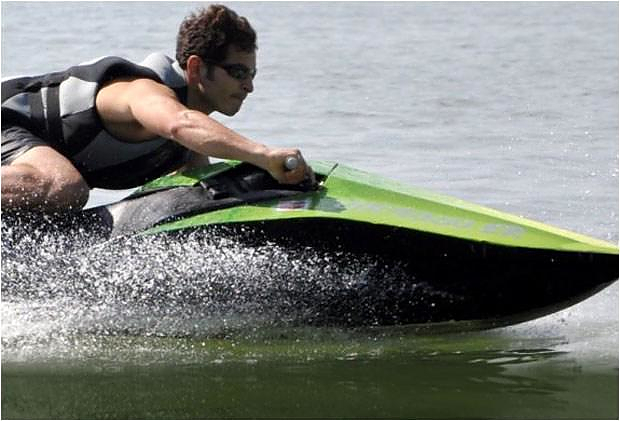 The next step was to try this jet ski’s shell with an electric engine. 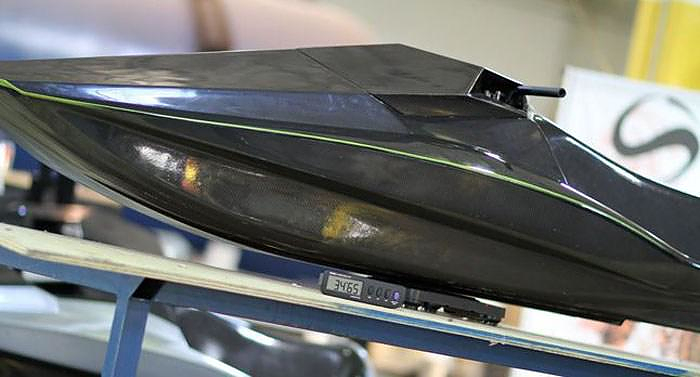 Starting experimenting with electric engines it became obvious to the Silveira Custom’s engineers that an electric engine requires huge power in order to accelerate a jet ski in the water. The bigger the engine means heavier the weight, therefore it needs an even heavier battery. After a year of failing experimentation they decided that they should redirect their research: take it from the engine and focus to a new system of propulsion. In this way, they managed to develop an engine system where the engine itself is also the “propeller”. There is one moving part, the one attached to the propeller, which is also the engine’s spool. Using this technology they managed with relatively small horsepower to make the Green Samba accelerate at equal speed, matching that of a more powerful, petrol using jet ski. In addition, they put two electric engines that work together with the rudder giving the Green Samba the ability to change direction instantly. The advantages of an electric powered jet ski are many, but I believe two of them make it to the top of the list: it does not pollute and it is completely silent, making it ideal for playtime near crowded beaches. Silveira Customs has set the production date for 2011, declaring their wish to make the Green Samba available to wider crowds and not only to a few lucky ones, announcing that they are going to try keeping the cost under 19000$ (almost 14500€). A very competitive price concerning the current market prices.